When you own a valuable vehicle like a Porsche, it’s just as much an investment as it is a means of transportation. You want to keep it as close to mint condition as possible yet still be able to enjoy driving it. One way to make your Porsche more of a match for the elements is to have it coated with a protective layer that shields it from paint chips and scratches. Paint protection film (PFF) is recommended for any valuable sports car, but the question becomes, which paint protection kit is best for your Porsche? 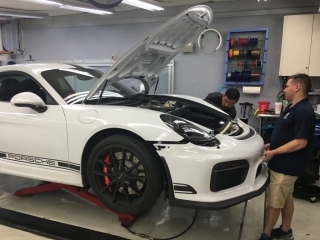 Developed from thermoplastic urethane coatings originally designed for military helicopters and other transport vehicles, the PPFs that professional automotive detailers use currently are more flexible to fit the aerodynamic curves of such cars as Porsches. However, they require professional installation due to the skill, speed and accuracy required to apply them flawlessly. After application, PPFs are virtually invisible, resistant to rock chip and chemical damage, self-healing, and high gloss. The partial PPF provides a clear bra coating that covers part of your car’s fenders, the front bumper, the forward section of the hood, and the backs of your painted rear-view mirrors. These are the areas most vulnerable to damage from rock chips, insects and dirt. A hood and bumper package covers not only the front bumper and mirror backs, but also the entire surface of your hood. The front clip kit adds coverage for your car’s side front fenders while the track kit, also shields the A-pillars that frame the windshield, the rear splash panels, the rocker panels, plus the lower door edges and cups. The full car kit provides complete bumper-to-bumper coverage. Which PPF for a Porsche? We recommend the highest quality protective coating for high-end luxury and sport vehicles. The PPF you select for your Porsche should provide advanced stain resistance, heavy-duty water resistance, superior self-healing capability and a solid warranty. We recommend our Suntek Ultra Paint Protection Film applied by our professional installers. They frequently work with Austin’s top auto dealerships, so they have the skills necessary to deliver a flawless finish. You should keep your PPF coating clean with automotive soap and water, just like you would any vehicle. However, avoid abrasive cleaners and scrub pads that could damage the coating. You can even keep your Porsche buffed with synthetic car wax designed for use with PPF coatings. 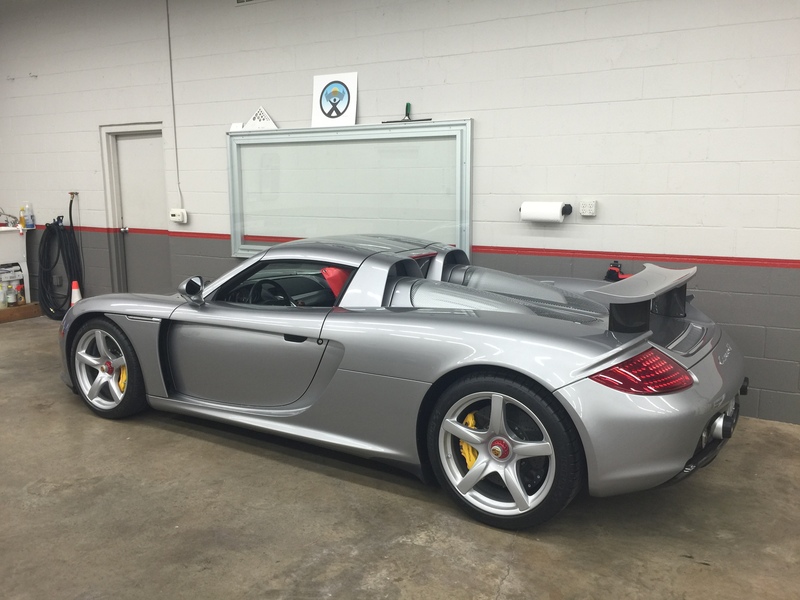 Bring your Porsche and other vehicles to a Sunbusters location in Austin, Texas, for a professional installation of paint protective coating. Get in touch with us today to schedule your application.